Printable Christmas Games and Party Packs from Funsational! 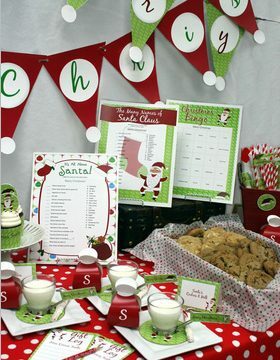 Add some extra fun to your Christmas get-togethers this weekend with these printable party packs from Funsational! With everything you need — from printable games and banners to favor boxes and place cards — these packs are a great way to add a special touch to your party without spending a lot of money. The team behind Funsational knows that turning a party into a memorable event isn’t just about the food or the decor, it’s about the fun and stories that guests take away after the party is over. It’s about the games. You’ll find more than 750 printable party games that have been enjoyed by more than 500,000 party hostesses! All of Funsational’s games can be printed right from your computer. There’s no limit on how many copies you can print, and all games include printable instructions and answer keys as well. Use coupon code SANTA to save 20% off your purchase when you spend $20 or more! Head here to browse their Christmas printables today!